Robert Crais has 1 media appearance. --*CANCELLED*--Robert Crais - "The Promise"
Warwick's is hosting New York Times bestselling author Robert Crais on Wednesday, November 5th at 7:30pm to present his latest crime novel, The Promise. Robert Crais, one of the masters of modern crime fiction, is the author of many bestsellers including Suspect and Taken. Reserved Seating is available. Only books purchased from Warwick's will be signed. Please call the Warwick's Book Dept. (858) 454-0347 for details. Elvis Cole and Joe Pike are joined by Suspect heroes Scott James and his K-9 partner, Maggie, in the new masterpiece of suspense from the #1 New York Times-bestselling author. Loyalty, commitment, the fight against injustice--these are the things that have always driven Elvis Cole and Joe Pike. If they make a promise, they "keep" it. Even if it could get them killed. When Elvis Cole is hired to locate a woman who may have disappeared with a stranger she met online, it seems like an ordinary case--until Elvis learns the missing woman worked for a defense contractor and was being blackmailed to supply explosives components for a person or persons unknown. Meanwhile, in another part of the city, LAPD officer Scott James and his patrol dog, Maggie, enter an abandoned building to locate an armed and dangerous thief, only to discover far more than they expected: The fugitive is dead, the building is filled with explosives, and Scott and Maggie are assaulted by a hidden man who escapes in the chaos, all as a bloodied Joe Pike watches from the shadows. Soon, Scott and Maggie find themselves targeted by that man, and, as their case intertwines with Elvis and Joe's, joining forces to follow the trail of the missing woman as well. From inner-city drug traffickers to a shadowy group of Afghan war veterans with ties to a terrorist cell, the people they encounter on that trail add up to ever-increasing odds, and soon the four of them are fighting to find the woman not only before she is killed . . . but before the same fate happens to one of them. Brentwood- Robert Crais discusses and signs "The Promise"
Diesel, A Bookstore in Brentwood welcomes Robert Crais to the store to discuss and sign his latest thriller, The Promise, on Monday, November 3rd at 6:30pm. Loyalty, commitment, the fight against injustice--these are the things that have always driven Elvis Cole and Joe Pike. If they make a promise, they keep it. Even if it could get them killed. When Elvis Cole is hired to locate a woman who may have disappeared with a stranger she met online, it seems like an ordinary case, until Elvis learns the missing woman worked for a defense contractor and was being blackmailed to supply explosives components for a person or persons unknown. Meanwhile, in another part of the city, LAPD officer Scott James and his patrol dog, Maggie, enter an abandoned building to locate an armed and dangerous thief, only to discover far more than they expected: The fugitive is dead, the building is filled with explosives, and Scott and Maggie are assaulted by a hidden man who escapes in the chaos, all as a bloodied Joe Pike watches from the shadows. Robert Crais is the 2006 recipient of the Ross Macdonald Literary Award. He is the author of numerous New York Times bestsellers, including The Two Minute Rule, The Forgotten Man, and L.A. Requiem. This is his twentieth novel. He lives in Los Angeles. Two Young Adult authors join Gibson's Bookstore for an evening of fun! Erin Bowman, author of Taken and Frozen, and Page Morgan, author of The Beautiful and the Cursed and The Lovely and the Lost, will be on hand to discuss their newest novels. Fans of Cassandra Clare's Mortal Instruments series and Lauren Kate's Fallen novels will devour The Beautiful and the Cursed, a wholly original interpretation of gargoyle lore. Fans of Incarceron by Catherine Fisher and Variant by Robison Wells won't want to miss Taken and Frozen. Marie Lu, New York Times bestselling author of the Legend trilogy, raves that Taken is "an action-packed thrill ride from beginning to end. More, please "
Established in 1968, the Clarion Writers’ Workshop is the oldest workshop of its kind and is widely recognized as a premier proving and training ground for aspiring writers of fantasy and science fiction. As we do each summer, we will be hosting many of the visiting instructors at our store. We are always happy when Robert Crais comes to San Diego to visit. His Clarion visit is the perfect opportunity to ask best- selling and multiple award-winning suspense author Robert Crais about his adventures in writing and more with the legendary Harlan Ellison. See Terry’s review of Suspect, his latest, here. Robert Crais Signs in Redondo Beach - RESCHEDULED!! We are delighted to share the new date to visit with Bob Crais at MGRB! Winner of the Anthony and Macavity Awards for his first novel, The Monkey’s Raincoat, Robert Crais’ love of writing began with a used copy of Raymond Chandler’s The Little Sister. The Monkey’s Raincoat featured Elvis Cole, a character loosely based on Robert’s own life. In the mid 1970’s, the Louisiana native moved to Hollywood and began writing scripts for major television series. Eventually Robert returned to his love of novel writing. Suspect is Robert’s latest novel. This stand-alone features his newest character, LAPD cop Max Kent, and Maggie, a scene-stealing German Shepherd. Robert Crais's book The Promise was available from LibraryThing Early Reviewers. Robert Crais's book The Sentry was available from LibraryThing Early Reviewers. 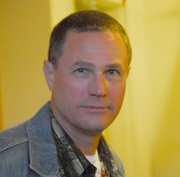 Robert Crais is currently considered a "single author." If one or more works are by a distinct, homonymous authors, go ahead and split the author. Robert Crais is composed of 8 names. You can examine and separate out names.